2.Sift together the flour, bicarbonate of soda and cinnamon into a large mixing bowl, then set aside. Mash the bananas in another bowl, then stir in the yogurt and vanilla. 3.Put the butter and sugar in a separate bowl and beat with handheld electric mixer until soft and a little paler in colour (you can alternatively use a wooden spoon if you prefer). Add the eggs, one at a time, beating well after each addition. 4. 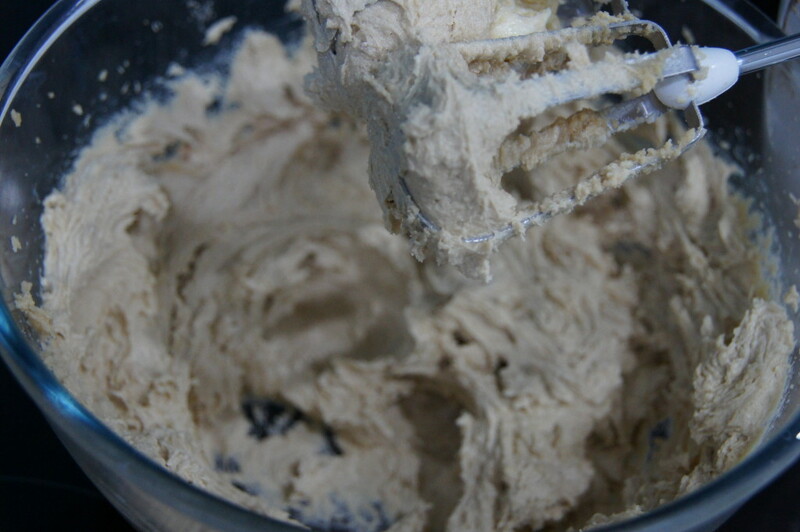 Using a metal spoon, add a third of the flour mixture and fold it in gently, using a figure of eight motion, followed by half of the banana mixture. Repeat with another third of the flour mixture, then the remaining banana mixture, then finally the remaining flour. 5.Dollop the mixture evenly into your greased bundt tin and level the surface with a palette knife or the back of a spoon. Bake for 45-50 min or until a skewer inserted into the centre comes out clean. Leave the cake to cool in the tin for 20 min, then turn it out onto a wire rack to cool completely. 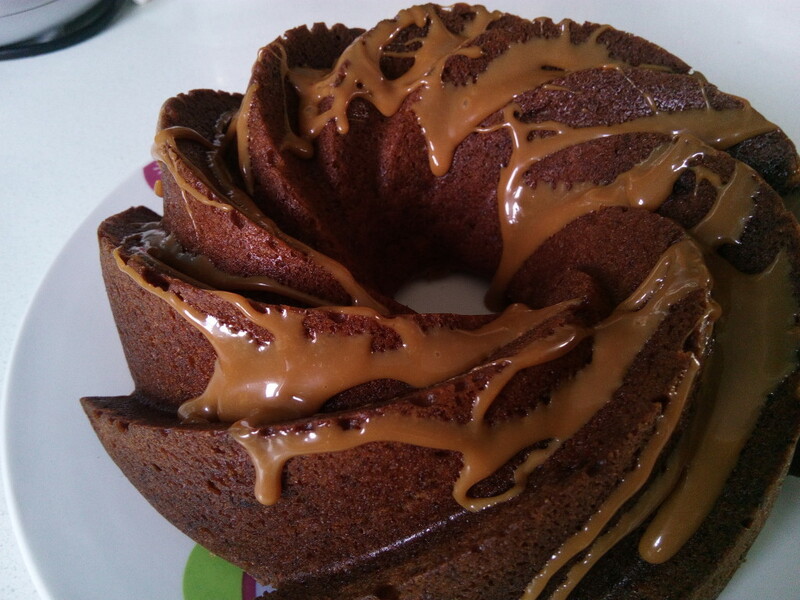 6.Just before serving, gently heat the dulce de leche in a saucepan until it reaches pouring consistency, then carefully pour it over the bundt. Cut into slices and serve.